The Weldon School of Biomedical Engineering has built a strong network of industry partners throughout Indiana, nationally, and internationally. We learn about summer opportunities in industry and research from these partners and other sources, which we share with our students. But, there are many other tools that might help you find internships more applicable to your interests. An undergraduate internship is a work experience for undergraduate students that usually includes working for a company for one semester or summer session. What will you experience during an internship? How do I find a summer internship in industry? Attend all campus career fairs, starting with the Industrial Roundtable in the fall and the EXPO and Professional Practice Career Fair in the spring. Read the emails from the Associate Director of Undergraduate Programs and apply to those opportunities that fit your preference. Search the internet on your own for opportunities. We suggest starting with these resources: Interns for Indiana (IfI), Simply Hired, Indeed, and Engineering Daily. You might find some you like better. Set up internship searches that email you updates using the job alert features on the above search engines. Many search engines have alerts that will email you daily or weekly depending on your preference, updating you on the newest posting that meets your search criteria. We suggest conducting your own searches periodically, as you may sometimes miss opportunities using the job alert method. If you are looking for companies in a specific location, try these resources: BioPharmGuy, TheLabRat. How do I find a summer research internship? Ready to get started? Make an appointment with the Associate Director of Undergraduate Programs in MJIS 1021 or online. 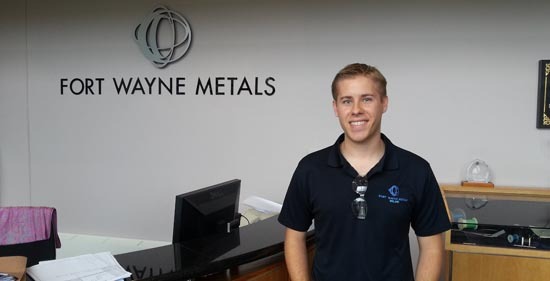 Top photo: Matthew Pharris interned at the Barrow Neurological Institute in Phoenix, Arizona one summer and at Fort Wayne Metals Research Products Corporation in Castlebar, Ireland the following summer. Read about his experiences in our Student Spotlights. Bottom photo: Amy Bogucki participated in the Summer Undergraduate Research Fellowship (SURF) program and conducted research with Craig Goergen, Assistant Professor of Biomedical Engineering. 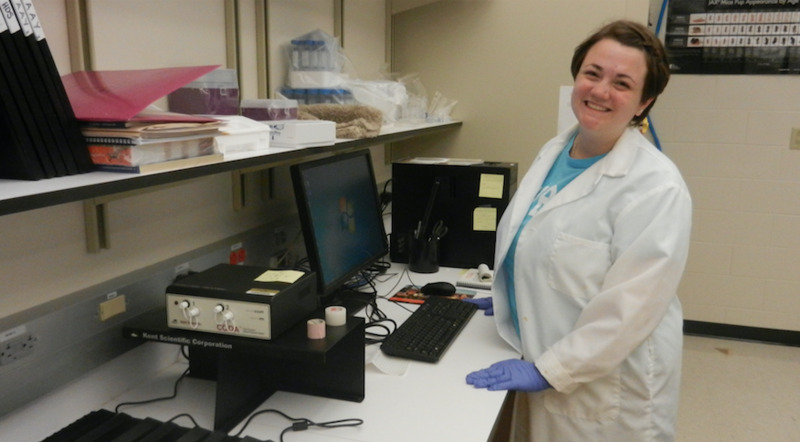 Read about her experience in our Student Spotlights.